What About the Muslim Children? Why False Accusations Against Our Holy Church? Prof Pittman's Lecture in Chicago: "The Assyrian Palace Reliefs..."
It begins with a theological confrontation, then a declaration of operational misconduct, and soon a new Assyrian church is born. These days it seems that most Assyrian churches in the United States are formed out of chaos, not order. The Assyrian Evangelical Church in San Jose is the latest example of this ecclesial Big Bang, an event that a few years ago gave rise to another small congregation that now shines brighter than its mother-church. This new phenomenon, sharply reducing the permanence of the Assyrian protestant churches in California, begs the following question: how can the independent Assyrian churches secure a stable financial and spiritual environment for their ever-growing number of members? In considering the consequences of such divisions history shows that proliferation of new Assyrian churches and denominations through conflict has been a curse and not a blessing. These conflicts mostly stem from the power struggle between the elders and the minister. When the pastor's personal convictions are inconsistent with those of the elders - as when the elders take upon themselves to interpret the Bible and the rules of ecclesia - the clash ensues and the result is the formation of a new church or denomination. 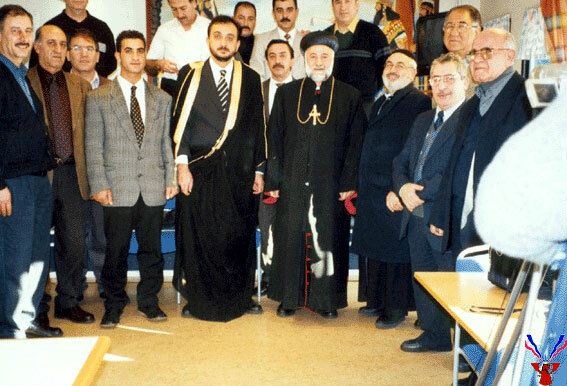 In 1990 the minister of the Assyrian Evangelical Church in San Jose, Rev. Dr. Freidoun Es-Haq, left his congregation and formed a new ministry called the Bet-Eil Assyrian Church. Although as a non-denominational church it remains the smallest Assyrian congregation of its kind, it boasts a dedicated membership and is financially a very stable organization. Two weeks ago Rev. Albert Aslan who succeeded Rev. Dr. Es-Haq resigned from his post. In a meeting held yesterday at the Chaldean Catholic Church in San Jose he commented that he is planning to further his education elsewhere. Reliable sources to Zinda Magazine explain that the elders of the church may have forced Rev. Aslan to resign his position. These unholy discords are not unique to independent churches. Many parishioners in Australia still recall with a shudder the events of 1986-87. In 1985 His Grace Mar Meelis was sent to Australia by His Holiness Mar Dinkha IV. Soon after, His Grace clashed with locals at Fairfield. The trustees of the church had aligned themselves with the Ancient Church of the East and voted to move Christmas Day from December 25 to January 7. In November 1987, Mar Meelis took the trustees to court, alleging they had breached the trust of the Church by failing to follow His Holiness Mar Dinkha's directions. Mar Meelis was locked out of St. Mary's, and his followers were forced to attend Mass in a nearby school hall. The rival factions fought in the foyer of the Supreme Court after the court ruled that the church should remain under the control of Mar Meelis, who had sued the trustees of the church property. Other churches in California which experienced the same type of religious mitosis in the past decade were Mar. Zaia Church in Modesto and the Chaldean Catholic Church in Turlock. In Modesto a non-religious issue forced Rev Auchana Kanoun to leave and be replaced by Rev Kando Kando. A new Church of the East was formed for the breakaway group in Ceres - a few miles away from Mar Zaia Church. The Chaldean Church responded differently to the breakaway group. Instead, they removed the Reverend -Qasha Sabri- and kept the Parish intact. Back in San Jose the baptism of the adults and the concept of predestination were the theological issues quietly residing at the core of the confrontation among the Evangelicals in San Jose in 1990 and 2002, respectively. But in fact it was not the notion of Free Will vs. Calvinism that brought hundred or so members of the Evangelical Church to a special meeting yesterday, rather the unpopular decision of the church elders vs. Rev. Aslan's exhausted energy in part due to coping with the motley crew of deacons serving in his former church. Upon closer examination it is clearly evident that in all such religious contentions the real issue at hand is the power struggle between the church elders (or trustees) and the minister or the bishop. While the Church of the East has managed to keep its parishes from such ugly breakups by centralizing the power of the bishops and the pastors, the Evangelical churches are still unable to maintain an effective checks and balances system between the elected elders and the "contracted" pastor. Failure to reach an agreeable arrangement is giving rise to new denominations -in some cases the Pentecostal churches (commonly called the Church of the Brothers and Sisters) and non-denominational churches resembling the Baptist or Charismatic protestant groups in America. In the case of Mar Meelis and Rev. Es-Haq, no one seems to question or challenge their authority in the church. They are the power brokers in most spiritual and non-spiritual operatives of their respective churches. A secondary figure, Rev Ashur Lazar in Australia and Rev. Shmuil Khangaldi in San Jose for example, may be proclaimed in speeches and writing as the pastors of the congregation, but the power lies with the true movers and shakers of the church - the Bishop and the Rev. Doctor. The result: the Church of the East in Australia and New Zealand is one of the most financially successful Assyrian organizations in the world and under the leadership of Mar Meelis it has managed to open the first Assyrian school in the West. Last year alone, Rev. Es-Haq's faithfuls at the Bet-Eil Assyrian Church provided over 40,000 dollars to needy Assyrians around the world. Per member, this small but energetic church is perhaps one of the wealthiest Assyrian churches in the country. The problem: the majority of their flocks remain victims of the cult of personality, and even the name of the church has become synonymous with the name of the bishop or pastor. A sudden departure or the waning popularity of the minister may undermine the cohesion of the congregation and result in further breakup. The story of Bet-Eil Assyrian Church is indeed unique due to the youthful, resilient attitude and financial strength of its membership. Typically to secure financial stability a breakaway protestant church is expected to align with a much larger and established American church. The most likely candidate in the case of the Evangelical Church's breakaway group in San Jose is the American Presbyterian Church whose theology is not too distant from that of Rev. Albert Aslan's Calvinist thoughts. St. John's Assyrian Presbyterian Church in Turlock, California under Rev. Dr. George Shahbaz enjoys such a symbiotic relationship with other non-Assyrian churches. Both Evangelical churches in San Jose and Turlock have been wounded as their very young pastors have agreed to leave the churches. Both pastors were called from Iran to serve the churches in California. In Turlock the very promising young pastor, Rev. 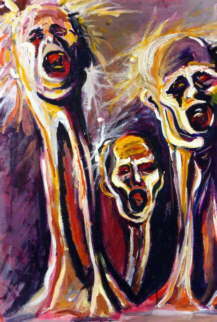 Edward "Eddy" Issabeik, was the victim of the tug-of-war between himself and the elders of his church. His popularity was damaged by insidious remarks expressed by certain elders of the church. Some in San Jose believe that this was a ploy to bring Rev. Issabeik from Turlock to San Jose and "to save the non-Calvinist" Evangelical church. The portents are grim: many young Assyrians are seeking refuge in the more "stimulating" American churches, where the Bible can be understood in English. The number of Assyrian men pursuing a religious occupation is non-existent in America and almost negligible in the Middle East. Such basic matters of faith as refusal to bless the marriage of previously divorced couples for reasons other than adultery forces many to search for guidance among non-Assyrian churches. Whatever the motives behind the "forced resignation" of Rev. Aslan in San Jose might have been, the future of this church and possibly all other protestant Assyrian churches remains doubtful. If the current conditions of the other Assyrian protestant churches built on the east coast and Chicago between 1930's and 60's is an indication of what is to come, immediate attention must be paid to the critical problem of power struggles within non-hierarchical Assyrian churches in America. In order to reinforce the Assyrian people's ancient and close connection with the Yezidi nation, originating from the veneration of the old Assyrian-Babylonian deities, Assyria Liberation Party or GFA took a critical first-step to invite His Excellency Anwar Muawiya, the Prince of the Yezidi nation. Prince Anwar, for the first time, has written a book, that fully explains the history, laws and attitudes of the Yezidi people. These characteristics are somewhat similar to those of the Assyrians. Contrary to common belief, Yezidis worship God and not Satan, and consider themselves innocent from the crime of the murder of Al-Hussein- a Shiite Imam - in A.D. 680. GFA and the Editors of Furkono Magazine supported the publication of Prince Anwar's book in Arabic language and scheduled several lectures in many Assyrian associations in Sweden. The main purpose of these meetings was to demonstrate that the Yezidi and Assyrian people come from the same race and ancestry. Amir Anwar was very lively and high-spirited in every meeting he attended. He is a man of great genius, very charismatic and is quite popular, as is clearly evident in his photos and videos. Prince Anwar and his delegation arrive in the evening in Stockholm, Sweden. Several GFA members and Furkono Magazine staff were present to welcome the Prince. Issues related to the Assyrians were addressed to the Prince as soon as we met. Prince Anwar, Bishop Mar Julius, Rev. Gabriel Barqasho and their representatives. We accompanied his Excellency and his delegation to visit His Grace Bishop Mar Julius Abdelahad Shabo of the Syrian Orthodox Church. Also present were the members of the church's board of directors, minister of the church Rev. Gabriel Barqasho, as well as the representative of Assyrian media and other associations. The Prince presented the Bishop a copy of his book and Bishop reciprocally presented him the Amir with a book. In the evening at Assur Club the Prince gave a speech and responded to many questions. The Prince had a meeting with the executives of the Bethnahrin Association. Rev. Gabriel Barqasho and a group of 120 Assyrian youth from Sweden were also present. The Prince, very eloquently, explained to the youth that "your Assyrian mother is waiting for you in your homeland". The Prince made a short visit in downtown to visit the museums. He then visited many prominent Assyrian community personalities and finally met with the GFA for the first round of his political meetings. Early in the morning his Excellency Amir Anwar Muawiya and his delegation was visited by His Grace Salwan Shakir, the head of Mandawi people (the Jhonists). Present were also several many representatives of the Assyrian magazines. The Prince and His Grace Salwan Shakir exchanged books and had a meeting with many people attending at the Assyrian Cultural Association in Sodertalje. Amir Anwar responded to many questions after his speech. Dr. Ibrahim Afram (Furkono Magazine), Salma Shaker, Prince Anwar, and Chamoun Danho (Sargon Publishing House). In the morning His Grace Bishop Mar Julius and the church leaders came to Bethnahrin Cultural Association and visited the Prince. At seven o'clock a gathering was held in Tensta Assyrian Culture Association. Amir Anwar spoke beautifully and answered many questions addressed by the audience and Swedish journalists who already had an interview with him. Amir Anwar had a short meeting with the members of the Beth-Nahrin Democratic Party. John Nimrod, Secretary General of the Assyrian Universal Alliance, called from Chicago and invited his Excellency Amir Anwar to visit the United States in the near future. On our way to Gothenburg we stopped in Orebro, where a journalist from the Swedish newspaper "Nerikes Allehanda" interviewed Amir Anwar. The interview has already been published in the Swedish newspapers. 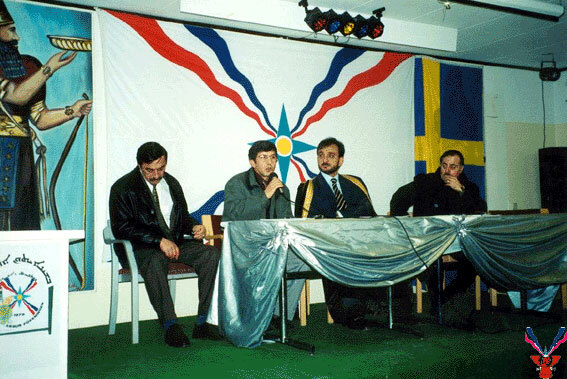 At seven o'clock in Gothenburg, all four Assyrian associations gathered in West Frolunda with Amir. The Prince gave a superb speech and offered answers to the questions. Prince Amir Anwar then presented Assyria Liberation Party a Golden Sword with the Yezidi emblem in a symbolic gesture of gratitude and long-lasting friendship. (ZNDA: Damascus) Last Friday at the Fifth Annual Meeting of the Eastern Orthodox Churches - Coptic, Armenian, and Syriac - the Egyptian Coptic Pope Shenouda III said religious dialogue on differences in doctrine and faith is not needed, but said talks on joint ethical issues such as abortion and human cloning are necessary. The meeting, headed by Shenouda, Syriac Orthodox Patriarch Zaka Iwas I and the Armenian Orthodox patriarch, Catholicos Aram I, is being held to study the situations of their followers and their relations with other churches. Shenouda often appears with chief Muslim clerics in Egypt to promote good relations between Muslims and Christians, who generally live in peace in Egypt despite occasional outbreaks of violence. Copts account for approximately 10 percent of Egypt's population, which numbers almost 68 million. Iwas, of the Syriac (or Syrian) Orthodox Church, believes religious dialogue "is not preaching nor is it inviting somebody to change his religion. It is creating deep understanding of one religion to the other." Shenouda defended his ban on Copts from visiting Israel, saying such "visits provide Israel with a useful economic climate and help its propaganda." Last week, a delegation from the Assyrian National Congress visited Washington, DC. and met with officials of the U.S. Department of State, U.S Congress and leaden of the Iraqi opposition groups, including the former Iraqi General Najib al-Salahi, who is a leader of the Free Iraqi Officers Coalition. The delegation was led by Dr. Sargon Dadesho, President of the Assyrian National Congress, and included Mr. Pnuel Hormiz, President of the Supreme Council of Bet-Nahrain Democratic Party. Ms. Janet Shimmon, President of Bet-Nahrain Organization and Chairperson of the Assyrian American Leadership Counci -A Political Action Committee, Mr. Ninos Bebla, ANC Country Representative for USA and Ms. Doris Gewargis, representing the AssyriaVision and AssyriaSat Television Networks. Dr. Dadesho: Mr. Pearce, thank you for letting us be your guest at the Department of State and thank you for being on AssyriaVision and AssyriaSat Television Networks. Mr. Pearce: Dr. Dadesho, it is a pleasure to be here. Q. If there is a future federated Iraq, will such a federation be a "selective federation" in which individual regions or states will be allotted only to the Kurds and Shiites? Is there a role for the Assyrians, the indigenous people of the country, in this new Iraq, given their proven heritage as descendants of the ancient Assyrian Empire? A. Well Sir, it is not for me to say exactly what the future of Iraq should be, that Is up to the people of Iraq to decide. Obviously, as I said, we would like to see a situation where there is a government that respects all of Its people regardless of their religious or ethnic origin. We think that is important and it is something the Iraqi people deserve. Q. The Kurds are asking for federalism. Is that backed by the U.S. Government? A. We want to see a unified Iraq that maintains the territorial integrity and respects the rights of all of its citizens and find that the government format is samething for the Iraqi people to decide. Q. The Assyrian National Congress is a founding member of the Iraqi National Congress. However, we haven't seen any movement in the INC to create Assyrian involvement. Why are Assyrians not considered or designated for help under the Iraq Liberation Act of 1998? A. We support the Iraqi opposition across the board and we want to see all groups regardless of their affiliation or their origin working together in the cause of a better future for the people of Iraq. We think that it is important that everybody has a voice and we think that is important to have a voice before and after. Q. So in essence the Assyrians can apply for assistance in accordance with the Iraq Liberation Act? A. It is not a matter of designation or one group or another. Any group that comes up with a viable proposal, which is a serious proposal, will get serious consideration. Q. Are Pentagon and the U.S. Department of State preparing for a meeting in Washington in mid March for Iraqi military officers and an INC political conference in April for the Iraqi opposition groups? A. Well, the only think I can say about that is we support the idea of conferences, We think it is good for Iraqi opposition to get together and make their voices heard. Mr. Pearce condemned the Arabization, ethnic cleansing, policy of the Iraqi regime against the Assyrians, Kurds and Turkmans. He stated that this policy is one of the reasons that U.S. Government is seeking regime change in Iraq. Mr. Pearce stated that the U.S. Government is confident that it will get the support needed from Russia, China and France at the next meeting of the U.N. Security Council in May for lifting the economic sanctions from Iraq and imposing a new round of military sanctions against the regime in Baghdad. The full text of the interview with Mr. Pearce will be printed in the next edition of Bet-Nahrain Magazine in April. General al-Salahi was also interviewed on AssyriaVision and AssyriaSat. The interview was conducted in the Arabic language. He declared that the Assyrians are an important segmentt of the Iraqi society and the Assyrians, known for their courage and love to their country must share the burden in rebuilding a new Iraq. General al-Salahi delivered a compassionate message to the Iraqi military forces and the people of Iraq asking them to be prepared for a brighter future. Members of the ANC delegation visited several political, educational and cultural institutions in Washington and made contact with the representatives of the Kurdistan Democratic Party and Patriotic Union of Kurdistan. (ZNDA: Washington) On 8 March, Congresswoman Anna Eshoo (D-California) asked her colleagues in the U.S. Congress to support the United States' recognition of the Armenian Genocide. Last week Congresswoman Eshoo won re-election to the House of Representatives by capturing over 60 percent of the votes cast in her District 14 (San Mateo and Santa Clara counties). She serves on the Energy and Commerce Committee and has been a member of the U.S. Congress since 1992. As Assyrian and Armenian descendent, Rep. Eshoo has been a vocal supporter of Assyrian and Armenian demands before the U.S. Congress. Nearly two out of every three Assyrian residing in the Ottomon Empire and Persia perished due to the massacres ordered by the Turkish government between 1915 and 1923. This April 24th will mark the 87th anniversary of the Armenian Genocide where, in 1915, 1.5 million women, children, and men were killed, and 500,000 Armenians were forcibly deported by the Ottoman Empire during an eight year reign of unprecedented repression. Armenians were deprived of their homes, their dignity, and ultimately their lives. As you may know, during the 30th Anniversary of the Scholars' Conference on the Holocaust and the Churches held from March 3-7, 2000, 126 Holocaust scholars publicly affirmed the incontestable fact of the Armenian Genocide and urged Western democracies to officially recognize it. As Members of Congress, we must remember and speak out against this crime against humanity, and our President must appropriately acknowledge the Armenian Genocide. Just last week the European Parliament adopted a resolution affirming the Armenian Genocide, making it one of many official bodies, including the governments of France, Italy, Sweden, and Belgium, that has affirmed the Genocide. Join the Holocaust scholars, the international community, and us by signing the attached letter urging President Bush to affirm the Armenian Genocide. It is our hope that through the affirmation of the horrible atrocities that befell the Armenian people, we will learn from our past and never let this kind of tragedy happen again. As the only two Members with Armenian ancestry, we urge your support for this important effort. Should you like to sign the attached letter or have any questions, please contact Raffi Vartian in Rep. Frank Pallone's office at 5-4671. (ZNDA: El Cajon) Tony Ambrose and Randy Williamson, two commissioners for the city of El Cajon in Southern California, said last week that Planning Commissioner Sami Jihad tried to influence his colleagues on three votes in November and January. They said that Jihad called them before a November meeting, urging opposition to a 91-unit housing project on behalf of Mayor Mark Lewis. They say Jihad called again in January, asking for support on a fast-food restaurant and a land-use issue involving Jihad's Chaldean Catholic church. It is a violation of the state's open-meeting law for a majority of public officials to deliberate on an issue in private, even in separate telephone calls by a single board member. The crime is a misdemeanor. Jihad declined comment on the allegations. He is being investigated by the City Attorney's Office for possible ethics violations involving the fast-food restaurant. City Attorney Morgan Foley expects to tell the City Council on Tuesday if Jihad's actions tainted the five-member commission's approval of a Jack in the Box restaurant. Lewis said he wants the council to remove Jihad from the commission if he broke the law, but added Jihad is innocent until proven guilty. Lewis appointed Jihad to the commission, which makes decisions and recommendations to the council on land-use issues, in January 1999. The mayor acknowledged talking to Jihad about the Third Street housing project before the commission's vote. He said he told Jihad he was troubled by the lack of a second exit but denied asking him to lobby other commissioners. He said Jihad was the only commissioner he talked to about his concerns. Lewis said he told Jihad to "knock it off" after he heard rumors Jihad was using his name while talking to other commissioners about the project. In the summer of 2000, Jihad was warned twice by then-City Attorney Lynn McDougal to remain impartial in land- use decisions. In January, Jihad paid a $100 fee in connection with a request for extended hours for the church hall at St. Michael's Chaldean Catholic Church. He said the money was given to him by the church pastor to deliver to City Hall. 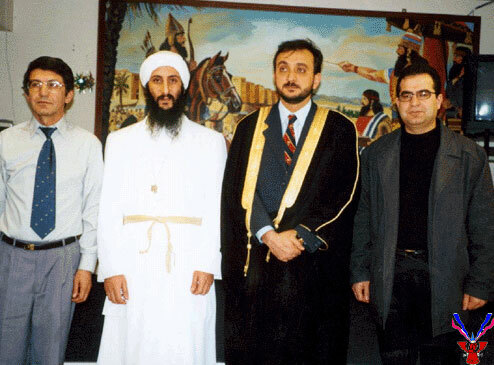 Jihad attends the church and, according to its Web page, he joined the parish council two years ago. The church's land-use issue is one Williamson and Ambrose say Jihad sought their support on. Staff attorney Sue Ryan said Jihad later disqualified himself from the vote because of his role with the church. Yet Jihad voted on a similar issue with his church in July. At the time, Ryan told Jihad he could vote on matters involving the church he attended, but he did not mention his role on the parish council. "If the Keikyo Institute is aimed at protecting the Christian children of Iraq who are suffering to death, who's protecting the Muslim children who are dying right next to them?" Thank you for doing such a good job at Zinda. I have noticed that some people such as Mr. Kevin Toma Zaia are attacking, accusing impliedly, and distributing false and malicious rumors and thoughts through your magazine against our Holy Church. We all appreciate the freedom of speech in this great country USA, but at the same time we must have the courage to declare our real identity. We must be ethical and able to support our statements with facts. We should not be scared to disclose our full and true identity when we say or publish articles in the media. The bottom line is that we must be accountable for what we say, unless we are cowardly intending to damage the reputation of honorable people and or holy institutions with which we have differences. I am not sure if Mr. Zaia is verifiable by Zinda. If he isn't, then I would like to know if you have a verification procedure, since this individual is touching the dignity of my Church, his/her true identity should be revealed to us publicly, so Zinda may not be blamed for spreading the false accusations that he is making, and he/she should not have the privilege of hiding behind Zinda. I have my doubts if this person is a member of our Church (The Assyrian church of the East), If he/she is, I wonder what contributions did this person offer to our church so far, except such cowardly bad mouthing to our beloved and holy church fathers. Why is he/she hiding behind a fictitious name, and his false statement that he lives in California? If he/she is a member of our church. If he/she is truly worried about the Church of the East, then he/she would submit his/her proposal and disagreement through the proper church channels, and not trying to damage their own Church's immage in a public media, and through false statements and hidden names. I spoke with some church members in California, and I have done some search on Mr. Kevin Toma Zaia, it seems that Mr. Zaia is not a member of our California parishes. If that is the case then it is NONE OF HIS BUSINESS how, where, and when the church educates it's clergy. This program is totally up to the head of our church, H .H. Mar Dinkha. Unless Mr. Zaia is extremely annoyed that finally the Assyrian Church of the East has been recognized and honored internationally as an Apostolic, ancient Church with true and great faith. (ZNDA: Boston) Begun with concern for the fast pace at which smaller cultures are losing ground before the onslaught of large cultural entities Cultural Survival, a tax-exempt NGO in Cambridge, Massachusetts, has helped to revive high standards in crafts, and it has helped to highlight the problems of cultural preservation and maintenance. Many of these endangered cultures have no state backing and therefore are losing both the physical aspects of culture (crafts, costumes, names of homelands) but also their languages, music, historical knowledge, and artistic uniqueness. Cultural Survival was incorporated in 1972 by a few Harvard University professors. It publishes the Cultural Survival Newsletter and a series of Special Reports, dealing with indigenous issues around the world. It also organizes annual craft fairs. At these bazaars, arts and crafts of different cultural groups are displayed at central locations on the Harvard University campus. This year Cultural Survival has invited the local Assyrian community to participate in the celebration of the 30th year of the establishment of this world acclaimed organization. As a fund-raising event, the annual Cultural Survival Bazaar affords a time for fun, browsing through tents set up as a huge world bazaar for crafts, watching craft production, enjoying ethnic food, and especially enjoying cultural performers. All the while, knowledge about the rich ethnic diversity of the world becomes heightened, and Cultural Survival benefits financially from the percentage of sales and tickets for performances. This is a win-win situation and the Assyrian community can derive both enjoyment and a chance to make our culture known in a very pleasant setting. PROF PITTMAN'S LECTURE IN CHICAGO: "THE ASSYRIAN PALACE RELIEFS: ANIMATED HISTORY OF EMPIRE"
(ZNDA: Chicago) The Jeremiah S. and Helen James Lecture on Assyrian Civilization and Culture was established in 1999 by the late Helen James Schwarten, a prominent and active member of the Assyrian community. The Lectureship was conceived with the purpose of promoting understanding and scholarship of both ancient and modern Assyrian culture. Mrs. Schwarten's gift to Northwestern University was just one of the ways in which she expressed her commitment to the Assyrian community. She sponsored educational and cultural events for adults, endowed hundreds of college scholarships for young people, formed a library and museum, and helped countless immigrants make new lives for themselves in America. As a young girl, Mrs. Schwarten fled Persia with her family and after three years arrived in the United States. A devout Presbyterian, she met her first husband, Jeremiah (Jerry) Sargis James at church. They raised two sons, Edward and Kenneth, who have followed in their parents' footsteps of philanthropy and devotion to the Assyrian community. Professor Holly Pittman teaches the art and archaeology of the ancient Near East at the University of Pennsylvania. At the same time, she is a curator of the Near East Section in the University of Pennsylvania Museum of Archaeology and Anthropology. Additionally, she occupies the College of Women Class of 1963 Endowed Term Chair in the Humanities. Before joining the University of Pennsylvania in 1989, she was a curator in the Ancient Near East Section of the Metropolitan Museum of Art. She has written several books and numerous articles, dividing her research interests between early state-formation of Mesopotamia and the Art of the Assyrian Empire. She has excavated in many countries in West Asia including Turkey, Syria, Iraq and Iran. "The Assyrian Palace Reliefs: Animated History of Empire"
The Assyrian Kings were the first to use history to justify, define and extend their vast imperial domain. In addition to detailed written annals, court artists created vivid visual programs that lined the long walls of the royal palace that reported military victories and specific civic achievements. By the end of the seventh century, B.C. these panoramas became virtually cinematic in their detail, surely captivating all that viewed them. Professor Pittman will bring these powerful images of history alive again in an abundantly illustrated slide lecture. Since we established the "Assyrian Students' Association of Mohawk College" in Hamilton, Ontario (Canada), we have received several invitations from various Canadian government agencies and organizations to their meetings and activities. We did not anticipate such invitations from outside of our college; however, our media activities was so good in reaching many in various avenues (i.e. publishing articles in Mohawk College newspaper, newsletter, flyers, and publicizing in radio about Assyrian) that we have become very well known at Mohawk College to the executives, professors, students and now to others outside of our college. We received close to $1000 from Mohawk College Students Association and Student Life Centre to fund our media expense, which resulted in publishing one Assyrian residential directory and one magazine as well as printing large size colour flyers. This month, we are trying to re-new our Association status, and to pass our progress to new future Assyrian students at Mohawk College. The struggle in finding Assyrian students to join has not been easy. We are optimistic that we could find at least four Assyrian students to take Executive positions as President, Vice-President, Treasurer, and Secretary at our Association. We gladly welcome any one to join us as non-Assyrian students. We call upon students to join Assyrian Students' Assoication of Mohawk College. For information, please call Ashur Simon Malek at (905) 318-8283. Dr. Ashour Moradkhan envisioned creating a project whereby Assyrians in Garbia would begin to create means of generating income to support themselves and become economically independent. The corner stone of this vision was based on enlisting Assyrians in Diaspora to fund this project. He approached Mr. Youel A Baaba soliciting his support and participation in the development of a program to achieve the objective of the project. After several meetings Dr. Moradkhan and Mr. Baaba developed a program to materialize this vision. It was agreed that Dr. Moradkhan would move to Garbia to implement the project and Mr. Baaba would direct the project in the United States. Specifically, concentrating on publicity, recruiting individual supporters and liase with Assyrian organizations for financial support. Dr. Moradkhan and Mr. Baaba met with Mr. Narsai David, president of the Assyrian Aid Society to gain his cooperation in facilitating Dr. Moradkhan travel to Garbia in the company of Mr. David. Later on Mr. Baaba met with Rabbi Yacoub Yousip, Secretary General of Zowaa and Mr. Narsai David to gain their cooperation and support for the project and for Dr. Moradkhan in the homeland. Both responded positively and welcomed the idea. Dr. Moradkhan went to Garbia in May, 2001 to assess the feasibility of implementing such a project. The survey was very encouraging and the Assyrians in Garbia welcomed Dr. Moradkhan and ATRA Project enthusiastically. This is how the project came into existence. The primary objective of the project is to provide financial assistance to Assyrians living in the villages in Garbia to create means of generating income to support themselves and become economically independent. At present, it has been determined that the most practical means of generating income for these people is through agriculture and animal husbandry projects. To ensure the success of such projects, often it is necessary to also provide electric power and water supply. For the development of agriculture, we need tractors to plow the fields, trees and plants, pumps and canals for irrigation, and power generation where needed to power the water pumps. Presently, ATRA Project does not have adequate funds to purchase tractors. To solve this problem, we have hired tractors to plow the fields and prepare them for planting. Fruit orchards are the most desirable for the villagers. As of the date of this report, so far, Atra project has purchased 69,100 apple trees, 4,500 almond trees, and 3,000 peach trees. These trees have been distributed and planted by 464 families living in 39 different villages. Presently, Dr. Moradkhan is surveying and determining the need for water pumps and repairing existing canals. The corner stone of this project is the individual supporter. So far, we have gained 58 individual supporters. Based on $20.00 per month, we ask our supporters to pay for six or 12 months in advance. If that is not convenient for the supporter, monthly payments of $20.00 are welcomed. A good portion of our budget has been furnished by Assyrian organizations. Assyrian Foundation of America is the leading organization that has provided significant funding for the project. Bet-Eil Assyrian Mission and the Assyrian American Association of Southern California are also regular contributors. Dr. Ashour Moradkhan, our resident Project Director reports that during the last three months, ATRA Project has been purchasing fruit trees and distributing them to the Assyrian families living in 39 villages in Garbia (North of Iraq). As of the date of this report 76,600 trees have been given to 464 families. Another 27,000 are on order and these will be distributed to other Assyrian families. The majority of the trees are apple, then comes almond, and peach. In addition to the families, Atra project has also given trees to eleven parishes, which have land and can be developed into orchards. Each parish has appointed people responsible for the development of its orchard. Once the planting is completed, the next phase of this agricultural project will be evaluated to determine the irrigation requirements. According to Dr. Moradkhan's report, existing canals have to be cleaned and repaired and in other cases water pumps have to be installed. Presently, we are busy raising funds to cover the costs of the second phase. Below, we have listed by district and village the name of every family and the number of trees that it has received. The list also includes the name of all parishes and the responsible individuals for each parish. We appeal to every Assyrian irrespective of his/her church affiliation, political inclination, organizational membership to come forward and join us in this nation building project. Remember our Assyrian brothers and sisters living in Iraq are the only remaining guardians of our national identity. It is our duty to support them and make life easy for them, so that they can rebuild their homes, fields, and animal stocks. I am confident that there is not a single Assyrian that cannot afford to pay $20.00 a month. So, please come and be part of this great project. (ZNDA: New Jersey) On 8 March 8 Notre Dame University de Louaize, Lebanon, and Gorgias Press LLC, NJ, announced their plan to jointly co-publish the University's English-based publications. According to this plan, Gorgias Press LLC will publish and market the University's English-based publications outside Lebanon. The publications will be produced as printed books and secure eBooks. This makes NDU de Louaize the first academic institution in Lebanon to employ eBook technology in academic publishing. "This cooperation with Gorgias Press," said Fr. Boutros Taraby, President of NDU de Louaize, "is a landmark accomplishment in that it promises to make the rich Christian heritage of the East much more accessible than it ever has been before." This initiative is directed by the University's Office for International Academic Affairs, whose Director, Edward Alam, noted that "it was only fitting for NDU to be involved in such a project, given its own Syriac heritage as a Maronite Catholic institution. I'm confident that our arrangement with Gorgias Press will bear good fruit." The cooperation between NDU de Louaize and Gorgias Press is marked by launching the Eastern Christian Studies series. The first title of the series, a 2-volume translation of the Old Syriac Gospels by E. Jan Wilson, will be released by Gorgias Press next month. The entire series will appear in both hardback and eBook formats. The hardback edition will be available directly from Gorgias Press and its retailers, while the eBook edition will be manufactured by Gorgias Press and distributed by a number of web-based retailers including Amazon.com, Powells.com, and BooksAMillion.com. The eBook edition will allow scholars to search, highlight, bookmark, and annotate their private copies of eBooks. Moreover, extracts from eBooks can be printed, copied, and read aloud by the computer using text-to-speech technology. "Gorgias Press is committed to provide digital publishing solutions for the academic market," said Christine Kiraz, Vice President for Marketing at Gorgias Press. "We very much welcome the cooperation with NDU de Louaize as it paves the way for Gorgias Press to work with academic institutions overseas." Established in 1987, NDU de Louaize is a non-profit Maronite institution of higher education which adopts the American system of education. The mission of the University is one of promoting universally accepted humanistic, ethical and spiritual values, of enhancing intellectual inquiry and intensifying awareness of human integrity and solidarity. For more information, see http://www.ndu.edu.lb. Address: Zouk Mosbeh, Keserouan, Lebanon. 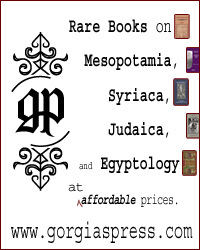 Gorgias Press is a pioneering academic publisher specializing in the humanities and the Near East. Using the latest in digital publishing technology, it produces quality books in traditional printed format and eBooks. For further information, see www.gorgiaspress.com. Address: Gorgias Press LLC, 46 Orris Ave., Piscataway, NJ 08854, USA. Fax. +1 732-699-0342. Email: info@gorgiaspress.com. The Association of Chartered Accountants states that the first accounting occurred in Mesopotamia. Accountants, then called scribes, did their number crunching on clay tablets. Sir Austen Layard, British archaeologist and excavator of Nineveh (the capital of the Assyrian Empire), was born in Paris on March 5. The Assyrian American Association of San Jose proudly invites you to a special function organized by William Daniel's students to commemorate his birthday. Join us in this memorable event in celebration of an Assyrian writer, poet, composer, and musician.